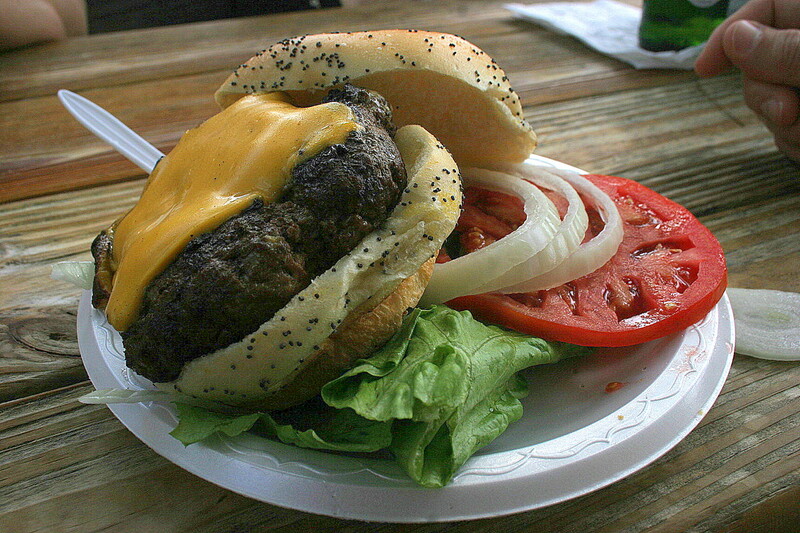 Oprah Winfrey and GQ Magazine have declared the burger served at this Hollywood, Florida hole in the wall the BEST in America. Needless to say, we couldn’t be in close proximity to such an establishment without stopping by to see for ourselves. I had read all the reviews prior to arriving and although many seemed to echo the accolades the burger had received, most used their review space to complain about the ungodly wait for this 13 ounce slab of meaty heaven to arrive after the order had been placed. Armed with this knowledge we were ready when our waitress informed us after placing our order that it “would be awhile ” before our burger arrived. I made the mistake of asking her if our order of large fries would come first or with the burger, she curtly replied, “I don’t know”. Waiting isn’t such a bad thing. We had our drinks, our seats were out on the deck directly on the Inter-Coastal Waterway and we were more than able to entertain ourselves during our almost 2 hour wait for our Le Tub Burger. One thing you do have to be very aware of while drinking and conversing is the constant bombardment of birds and gulls as they make their way in close proximity to your face. Joe B. actually had one of his fries snatched from his hand just as it was about to enter his mouth. It happened in the blink of an eye. Another one our party had so many bird droppings on his shirt he had to go to the bathroom to make repairs. There is no extra charge for this aviary assault. Eventually though, your much-anticipated burger arrives. Served with simple trimmings of lettuce, onion and tomato on a soft poppy-seed bun there is little doubt this juicy creation is one tasty burger. Is it the best in America? I’d have to refrain from making that call simple because I don’t feel I have had enough of the contenders to make that choice. It is most certainly in the running. Let’s leave it at that. 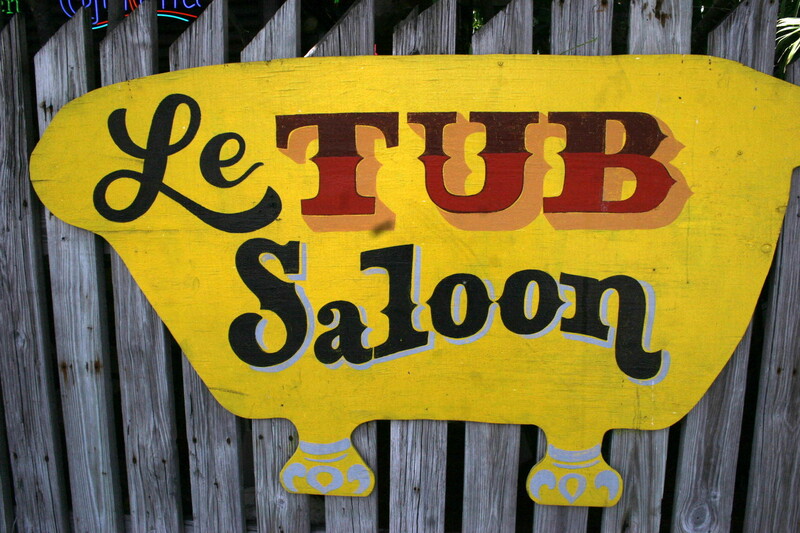 The fries at Le Tub are also excellent. Big, thick and meaty steak fries that are served hot from the fryer. 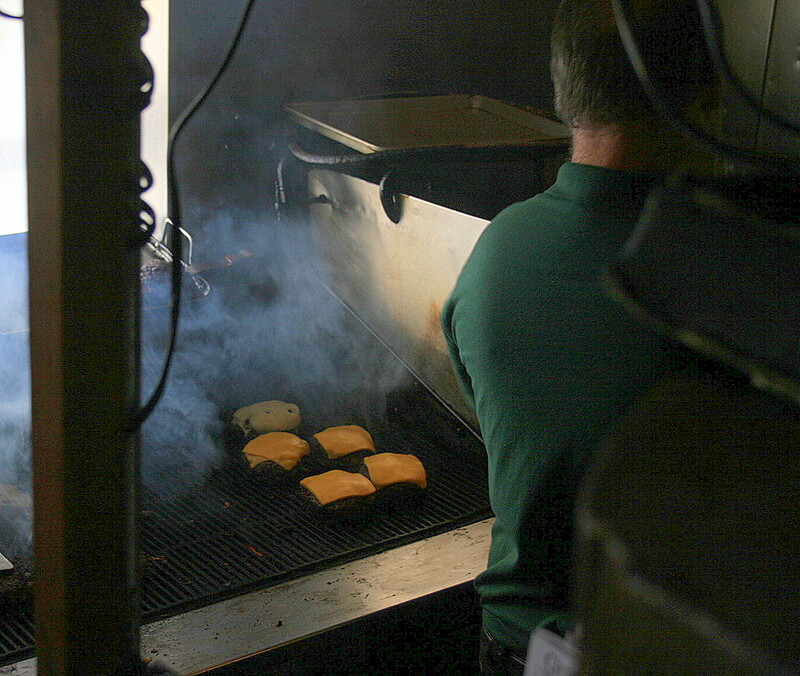 One of the main reasons the burger takes so long to arrive is the size of the grill. It reportedly fits 31 burgers and with over 100 folks awaiting their order at any given time you can see that being in that third shift of burgers will have you salivating at your table for some time. It’s fun to hear the patrons voicing their complaints to the poor servers who have to listen constantly to “what’s taking so long for my burger?” They are certainly unphased by all of it and the scene is so chaotic that it almost appears to be a pre-arranged scene and that each of them are just acting out a role they have perfected with each day of employment at Le Tub. 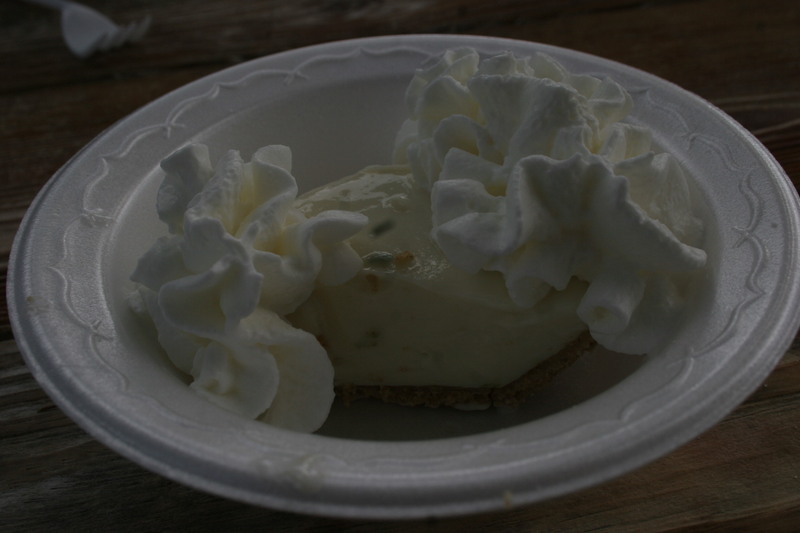 A slice of key lime pie topped off the meal. 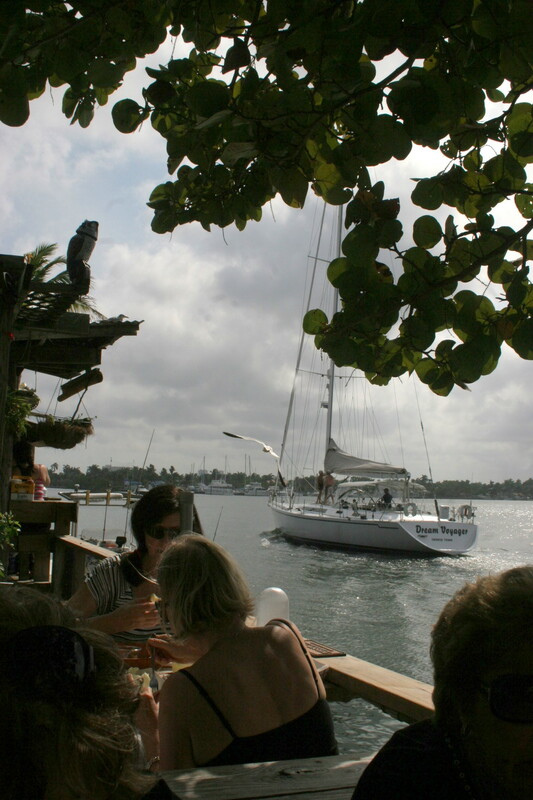 If you are ever in the Ft. Lauderdale/Hollywood area you have to pay a visit to this South Florida landmark. It’s unique and it’s fun.